Operating through two harbours, the port facilitates trade that is vital to WA. The Port of Fremantle operates through two harbours. The Inner Harbour at Fremantle handles almost all of the container trade for Western Australia. It also provides facilities for livestock exports, motor vehicle imports, other general cargo trades, cruise ships and visiting naval vessels. The Outer Harbour, about 22km to the south at Kwinana, is one of Australia’s major bulk cargo ports handling grain, petroleum, liquid petroleum gas, alumina, mineral sands, fertilisers, coal, sulphur, iron ore and other bulk commodities. Three of the jetties in the Outer Harbour are operated by private companies, generally under Special Agreement Acts with the State. They are the Alcoa, BP and CBH Group jetties. Kwinana Bulk Jetty and the Kwinana Bulk Terminal are operated by Fremantle Ports. 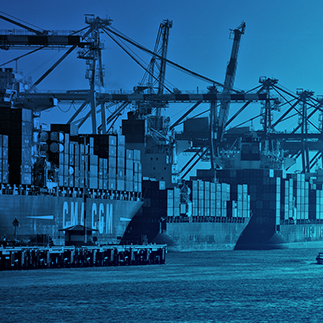 The port is a mix of facilities and services managed by Fremantle Ports and private operators. Fremantle Ports provides and maintains shipping channels, navigation aids, cargo wharves at common user areas and leased terminals, the Fremantle Passenger Terminal, road and rail transport infrastructure in the port area, moles and seawalls and other port infrastructure such as storage sheds, water, power and public amenities. Services such as towage, pilotage (under contract to Fremantle Ports), line boats and bunkering are provided by the private sector. Fremantle Ports also cooperates with Commonwealth Government agencies responsible for customs, quarantine and maritime safety. See stunning panoramas of the Inner Harbour from our two harbourcams. Fremantle's role as a port began with the foundation of the Swan River Colony in 1829. Fremantle Ports map including berths, gates, ferry terminals, sheds, the maritime museum, parking, and more. Fremantle Ports is committed to providing reliable, efficient and commercially viable port services and facilities for our customers. Fremantle Ports maintains a strategic approach towards maintaining the health and safety of our employees and contractors. Fremantle Ports' Administration Building on Victoria Quay was designed by architects Hobbs, Winning and Leighton. Learn more. Fremantle Port is recognised as the State’s key trade gateway and a significant driver of Western Australia’s economy. Australia's nationwide identification card for the maritime industry is the Maritime Security Identification Card (MSIC). Fremantle Ports 360 degree webcams provides unique perspectives of the Port, over the Indian Ocean, as well as back over the Perth metropolitan area.